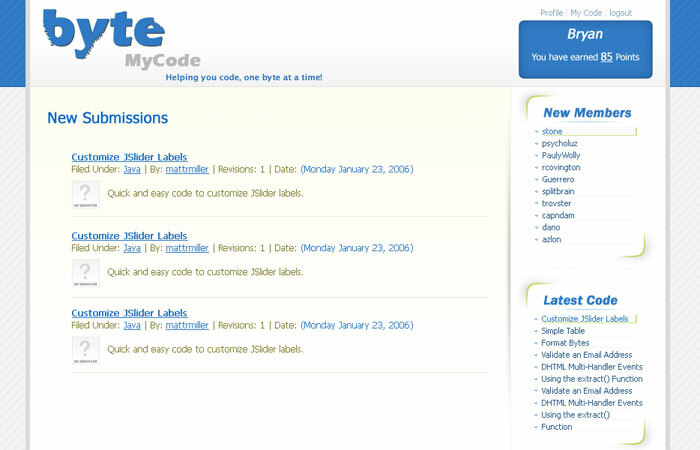 This is a design/mockup of Byte My Code. This is another design/mockup of Byte My Code with tabs. 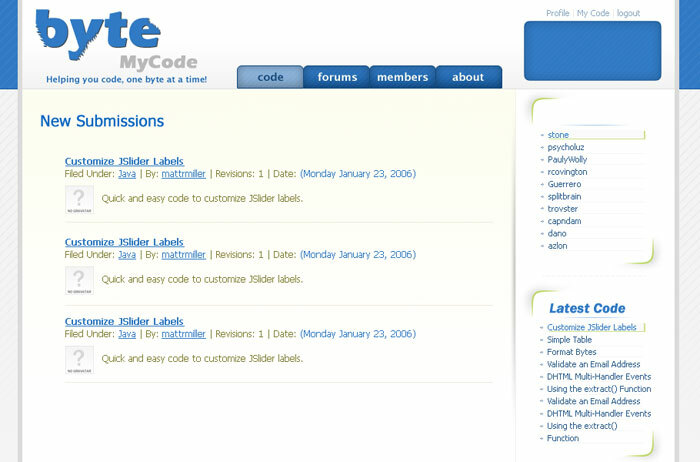 This is another design/mockup of Byte My Code with different tabs. Byte My Code is a project that allows users to share source code. This is done via "snippets" that can be ranked, rated, commented on, and shared. It is similar to that of other snippet sharing sites such as PasteBin or Pastie. This site was originally created by my friend Matt Miller. It needed a redesign and he asked for some assitance. Unfortunately, timing did not allow the project to go any further. 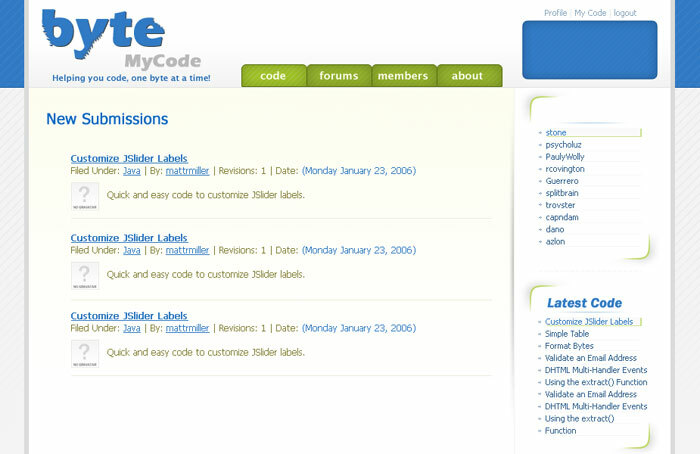 You can view the site in its current form at www.bytemycode.com. This site was never taken past the design phase.